BULLY, BRAWLER, MERCENARY, SPIES: MARVEL’S HOTTEST TEAM IS HERE! 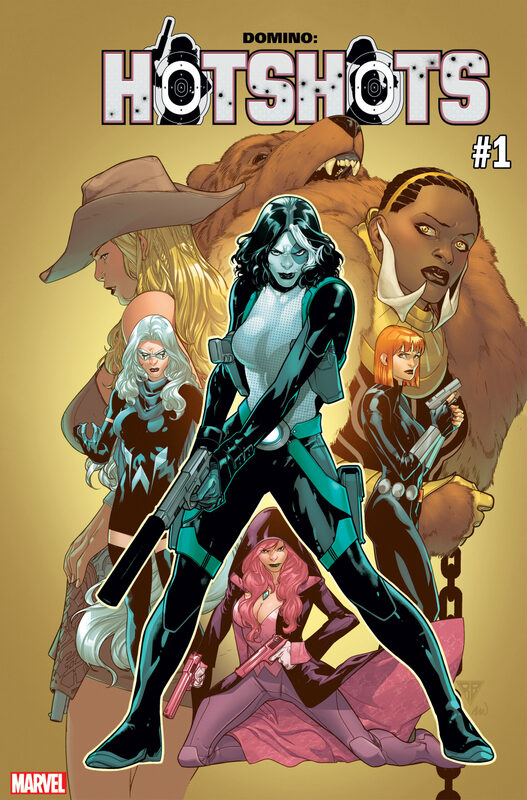 Introducing The hotshots From Domino creative team Gail Simone and David Baldeon! New York, NY—December 11, 2018—Domino. Black Widow. White Fox. Atlas Bear. Outlaw. Diamondback. This March, Marvel invites you to meet a dangerous crew of international women – the newest group of hot shots to enter the Marvel Universe! Celebrated DOMINO creative team Gail Simone (Birds of Prey) and David Baldeon (Spirits of Vengeance) are bringing you an all-new story filled with feisty femme fatales, intense action, mercenary adventures, and espionage.